Popularly known as the queen of hills, this charming hill station, 34 kms. 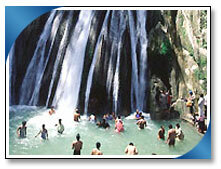 From Dehradun is situated at an altitude of 2,500 mts. Above sea-level. Enchanting view of pine covered hill slopes and snow capped mountains leave an indelible impression on one's mind.The modern bungalows, malls and well laid gardens which are located on the small hills around the area are enough to attract any tourist. This place is highest point in Musoorie. 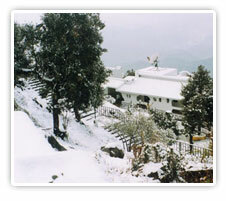 Lal Tibba is located in Landour area which is the oldest inhabited place in Mussorie. 55 kms from Mussoorie is very good place for trekking. Nag Tibba, as it is called, is the highest place around Mussoorie. It is surrounded by thick dense forests. The actual trekking for Nag Tibba starts some 21 kms away from the place. The 34 kms journey from Mussoorie is done on Taxi or Bus and the rest is covered on foot. This trek has its own charm and fun. 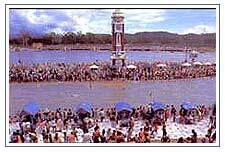 The trek starts at Thathyud. 7 kms from here there is the forest departments rest house. 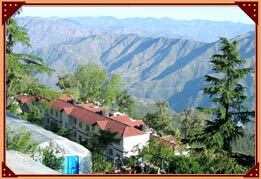 To stay in the rest house reservations have to be done with Divisional Forest officer, Mussoorie. The nearest Airport to Mussoorie is 60-kms away from the place. The airport is called Jollygrant Airport but there are no regular flights to this place. Mussoorie does not have a direct rail link. Dehradun Railway station serves for Mussoorie too. This station is linked which Superfast trains to other major cities in country. 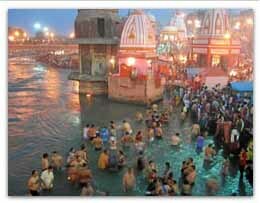 From Dehradun one can hire a taxi or take a bus to Mussoorie. The queen of hill stations is well connected with roads with other major cities. 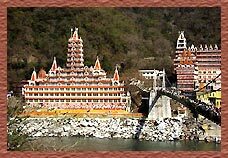 There are regular bus services from various metros and other tourist destinations in Uttaranchal as well as from out side the state. Bus services are provided by State transports. 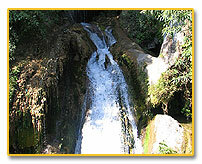 There are conducted tours to Mussoorie too.